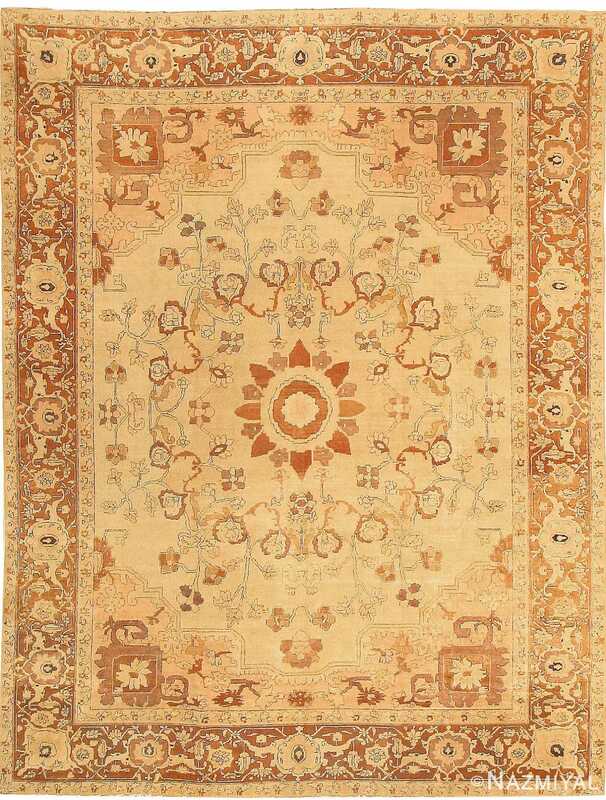 This elegant antique Amritsar was inspired by the Heriz or Serapi carpets of Northwest Persia. 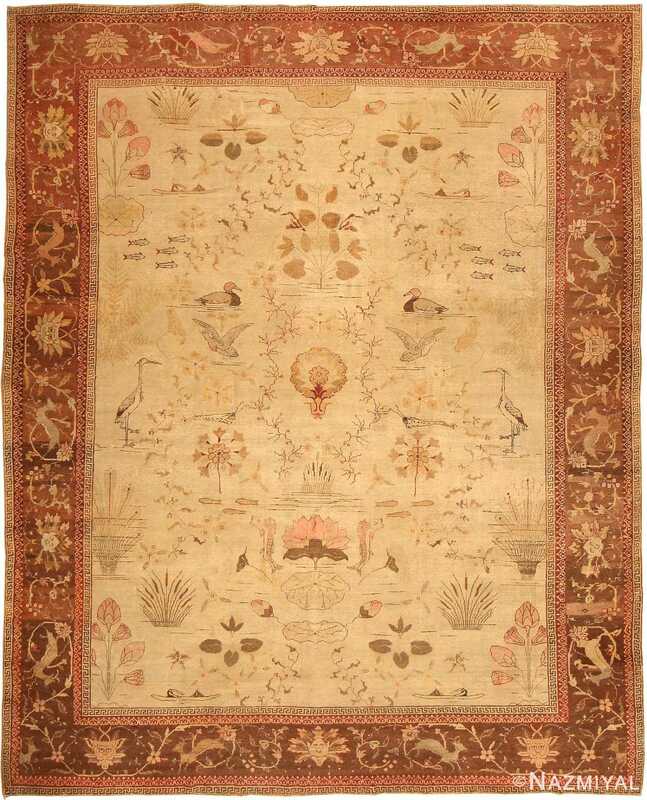 Antique Indian Amritsar Rug, Country of Origin: India, Circa Date: 1900 – This elegant antique Amritsar was inspired by the Heriz or Serapi carpets of Northwest Persia. The corner-pieces and the richly detailed arabesque vine-scroll border are classic Heriz, although the drawing is a bit more classical or fluid in its detail. The openwork medallion of vines, however, is distinctively Amritsar, as is the cool palette of tans and cinnamon tones. 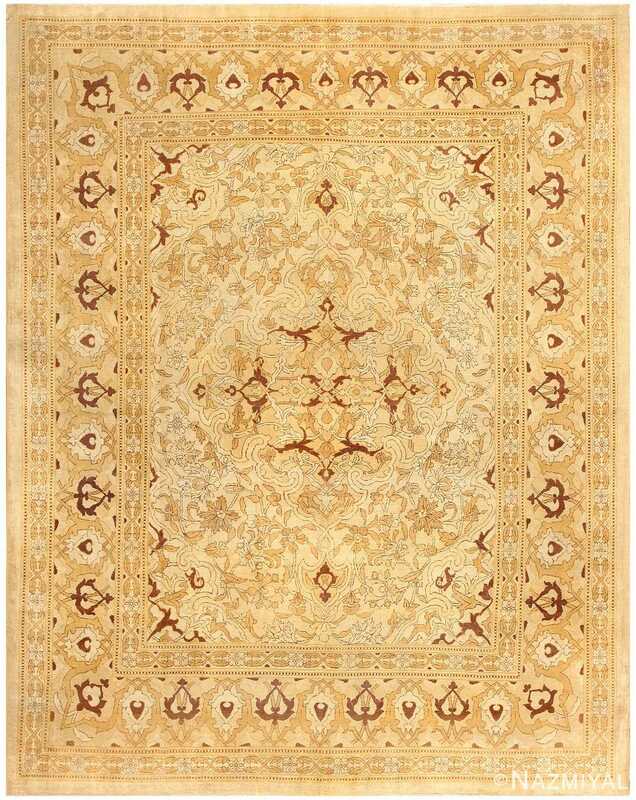 The result is an unusual and consummately decorative carpet that has the monumental design of Persian exemplar, but the restraint and elegance for which antique Indian Amritsar rugs are famed. 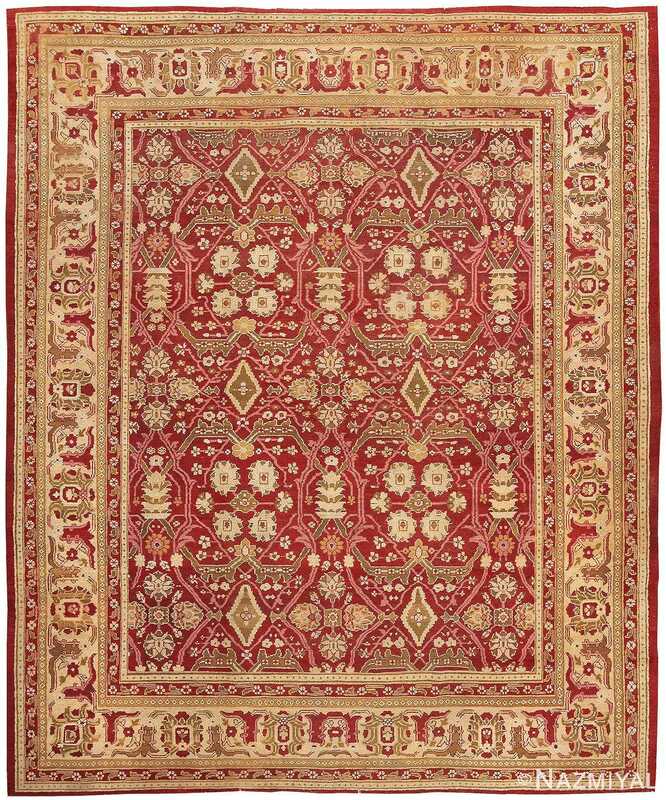 This elegant antique Oriental Amritsar carpet from India has a rich pattern of soft red and green interlacing arabesques enclosing ivory and green palmettes and flowers. An aquatic paradise or marsh scene unfolds with grace and delicacy across the pale tan field of this exquisite antique Amritsar.